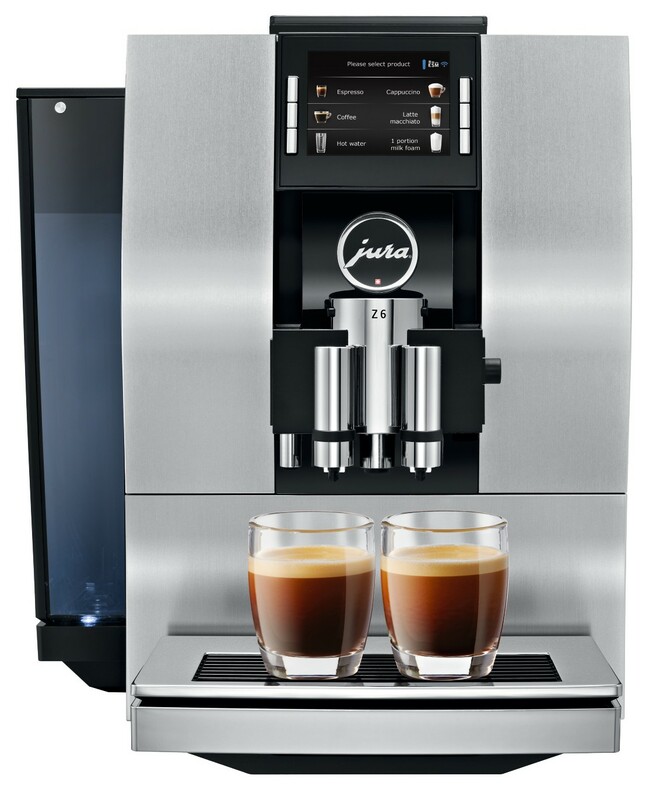 The Jura Z6 is the next generation specialty coffee machine. It pairs the quality you expect from Jura with new technology that takes performance to the next level. The new Aroma G3 grinder preserves the aroma while grinding to the optimal fineness (in less time and with less noise than ever before) and uses a new Pulse Extraction Process (PEP) that optimizes extraction time by pressing water through the ground coffee in short bursts. You can taste the difference when you use the Jura Z6 counter top espresso machine. The Jura Z6 is also Bluetooth compatible providing advanced control through the Jura App, J.O.E. 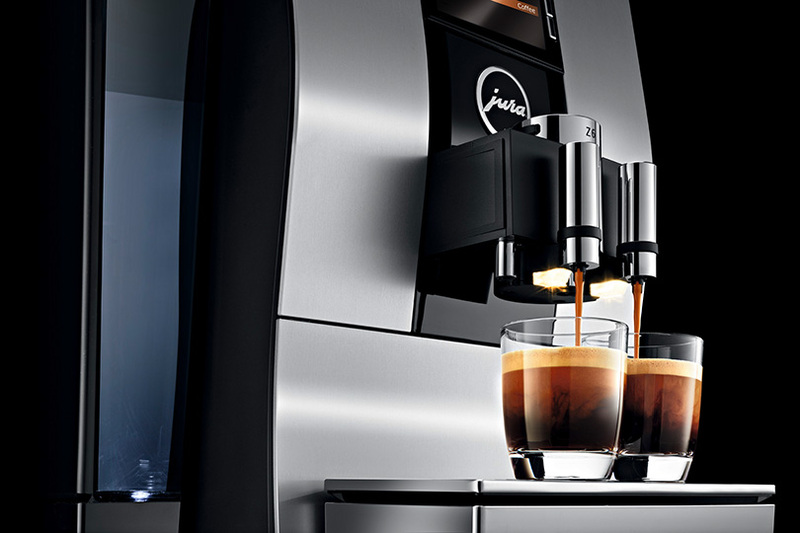 The Jura z6 coffee machine revolutionizes the brewing process. From ristretto to flat white, this high-tech counter top espresso machine sets the standard for specialty coffee brewing. Impressive Swiss innovation perfects the brewing process, allowing the Jura z6 to achieve the same standards as the best coffee bars in the world. The Pulse Extraction Process is a new technology that enhances extraction time. The result is an optimized process that showcases the nuances in aromas—even if you’re brewing short specialty coffees like espresso. 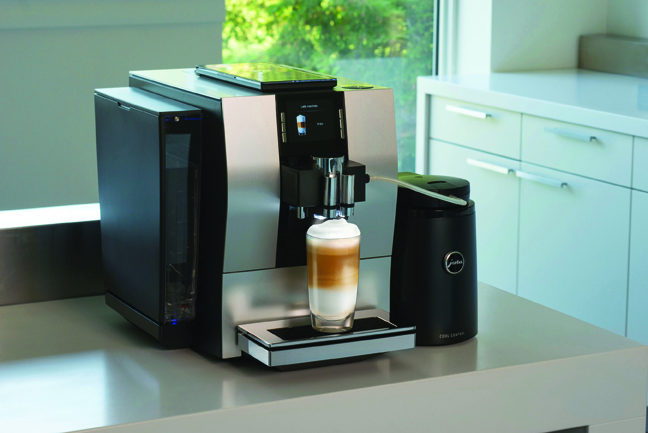 Best of all, it happens with the touch of the button on the Jura Z6 coffee machine. You don’t need to be an expert barista to add a finishing flair of foam or milk foam to your favorite specialty coffee drinks. 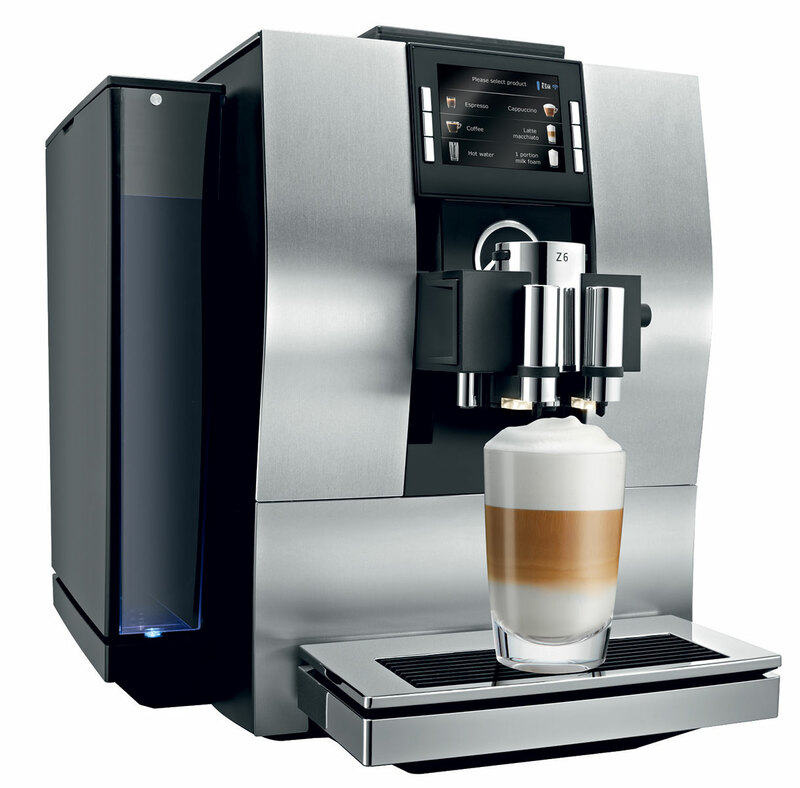 The Jura z6 switches from milk to milk foam with the touch of a button. Even better, you can adjust the milk temperature based on your personal preferences. The result is an effortless cup of specialty coffee full of flavor and foam. The Jura z6 pioneered the intelligent water system. Automatic filter detection, powered by RFID technology, is a unique feature seen for the first time on a specialty coffee machine. It makes using a filter easier and more reliable than ever before. The compact size of the Jura z6 is deceptive. The small machine offers premium performance. The controls are easily accessible on the front of the machine—even the water tank and bean container are at the front of the machine to minimize awkward reaching and repositioning. You have the ability to create selections for your favorite specialty coffees and add them to the start screen to speed up the delivery of your favorite drink. Even maintenance is a snap: It all happens at the touch a button. Thanks to an exclusive two-compartment cleaning container on the Jura z6, cleaning the milk system easier than ever. Great machine once you figure out all the features, definitely easier to clean than the Z7 it replaced. Very professional service by 1st in Coffee. The Jura Z6 is another great coffee center and my Z5 is still working like a champ. I use both. Best system we have ever had. Color TFT display with Rotary Selection for self-explanatory, intuitive operation. It’s an operating concept that sets new standards. 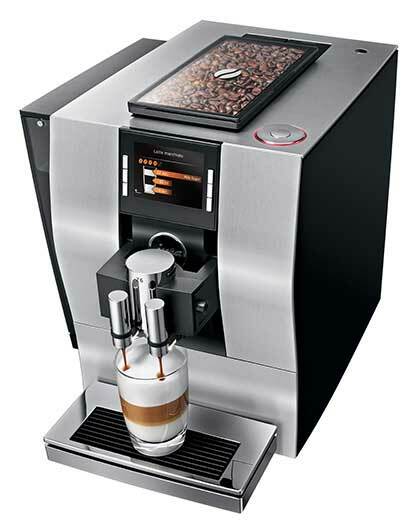 Simply turn the Rotary Switch and a list of specialty coffees appears on the modern TFT display. All you need to do is press the button once, and you’ll soon be drinking coffee that fulfils your wildest dreams. The foam is both fine and compact, giving it a creamy consistency with a subtle sweetness. The frothers have two separate chambers in which the milk is frothed twice. Any bubbles that form will burst, compacting the foam and making it extremely fine. Three bars in the frother spout slow down the foam as it exits the frother, so it is poured slowly and evenly into the cup. Sound Design - Thanks to close, effective cooperation with acoustic engineers, the grinding sound typical of fully automatic machines is effectively suppressed to the level of background noise. As a result, the IMPRESSA is unbelievably quiet.